Scene from the movie Game Night. Roadshow/Warner Bros Films. I REMEMBER racing through the doors of the Video Ezy at Kogarah on a Saturday night as a kid, running over to the new releases and praying to the movie gods that there would be just one copy of Waterworld left. There was not. I was devastated. I was devastated again when I finally watched Waterworld later on but that's a different story. Heading down to the video store and grabbing an overnight new release for $6.95 or five weeklies for $8 was something we did every other week. With video shops gone the way of cheque books, most people are turning to streaming platforms like Netflix or Stan for their at-home movie fix. Yet how often do you hear the person sitting next to you whinge about how this-and-that isn't on Stan or how they scrolled through Netflix for half an hour and still didn't find a movie they wanted to watch. Renting or downloading digital copies of movies or TV shows used to be quite popular but has fallen out of favour since streaming took over. According to Screen Australia figures, in 2014, 41 per cent of us downloaded things from iTunes, BigPond and the like. Last year, that number fell to 14 per cent. So all the home entertainment distributors in Australia have teamed up to remind viewers that they still exist with a new promotion, Movie Frenzy. They're all slashing rental prices on loads of titles to as low as $0.99 (which definitely beats the old overnight video price) this weekend. Movie Frenzy is running on pretty much any digital platform where you can rent movies on demand, including iTunes, BigPond Movies, Fetch, Foxtel, Google Play, Microsoft Films and TV and the PlayStation Store across your smart TV, computer, smartphone, Xbox, PlayStation, Apple TV, Telstra TV, Fetch TV, Foxtel iQ2 and iQ3, Chromecast and tablets. 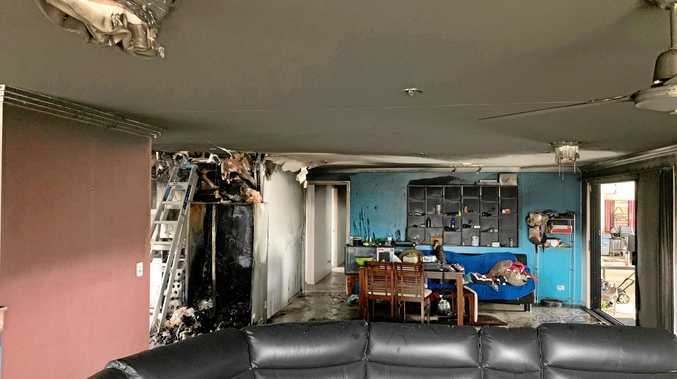 So there really is no excuse to illegally download any movies this weekend (which really is just so 2012, you dag). Now's your chance to catch those movies you missed at the cinema but isn't yet available on pay TV or streaming. And there's no chance of missing that last copy on the shelf. You don't even have to get off your couch. What a total surprise Game Night turned out to be - a hilarious comedy that uses its impressive cast's charisma and flair and pummels you with endless jokes. The story centres on a group of friends whose weekly game night quickly descends into chaos when real-life gangsters bang the door down and kidnap one of them. What's real and what's part of the "game" is what everyone has to figure out. 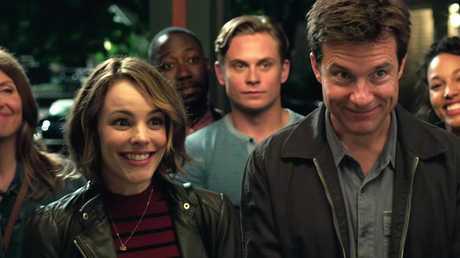 Rachel McAdams' warmth and zest is a perfect match for the more sardonic spirit of Jason Bateman, her on-screen husband. They're such a good scene partners it's a wonder no one has put them together before. And you know what else, even if you've already watched Game Night, play it again, it's even better on repeat viewings. You'll fall in love twice in Call Me By Your Name, a tender, sensual and emotionally charged story set in 1983. 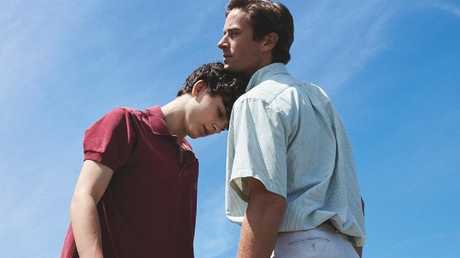 The first time you swoon is over the gorgeous surroundings of the Italian countryside and the second time is with Elio and Oliver's romance when the latter triggers Elio's sexual awakening. So many coming-of-age stories deal with the transition between childhood and adulthood, when everything that happens doesn't seem quite real, and Call Me By Your Name definitely has a languorous, dreamlike quality. But few films handle it with as much grace and humanity as this one and the viewer is as transformed by the experience as the characters. We all know by now that Pixar is run by sadistic monsters who love nothing more than to make adults blubber - the ugly, snotty, red-nosed kind - and Coco is no exception. So get those tissues ready. At least in the privacy of your own home, you won't be embarrassing yourself in public. Set in Mexico, it follows the journey of an aspiring 12-year-old musician named Miguel into the underworld on the Day of the Dead, in search of someone he thinks is his ancestor. 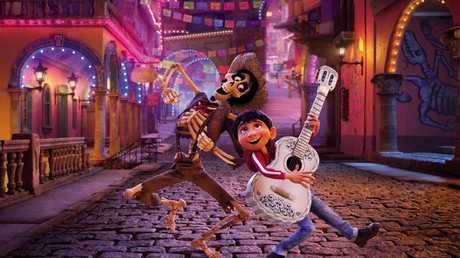 Coco is a beautiful and emotional story about the importance of family and legacy. And because it is Pixar, it's wildly imaginative and colourful animation with soundtrack that will move you. In the dystopian future city of Megasaki, the cat-loving Mayor Kobayashi has enacted a dastardly plan to ban all dogs from the city, thanks to an infestation of dog flu and snout fever. 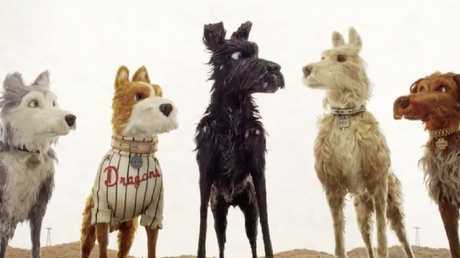 One plucky young man flies to the island to rescue his pet Spots with the aid of a ragtag band of canine companions. Returning to the stop-motion animation technique he embraced so enthusiastically with Fantastic Mr. Fox, the exacting Wes Anderson's latest film is thematically more sophisticated with a touch of added drollness and nods to Akira Kurosawa. You should expect nothing less than perfectly composed shots and, really, only the symmetry-obsessed Anderson could make a garbage island look so mesmerising. Here's a shocker: Hollywood made a sequel to a movie from 22 years ago, trying to cash in on nostalgia. 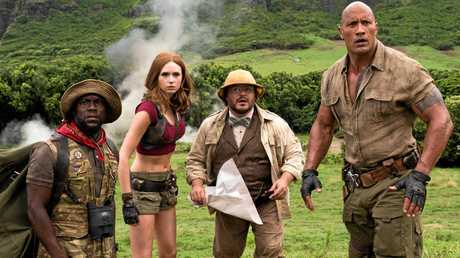 But the real shocker is that Jumanji: Welcome to the Jungle is actually entertaining, throwing together four comedic actors with great screen presence - Dwayne "The Rock" Johnson, Jack Black, Karen Gillan and Kevin Hart - in a movie that doesn't take itself too seriously. This time, the kids are sucked into the game and they take on adult-sized avatars in a jungle video game. 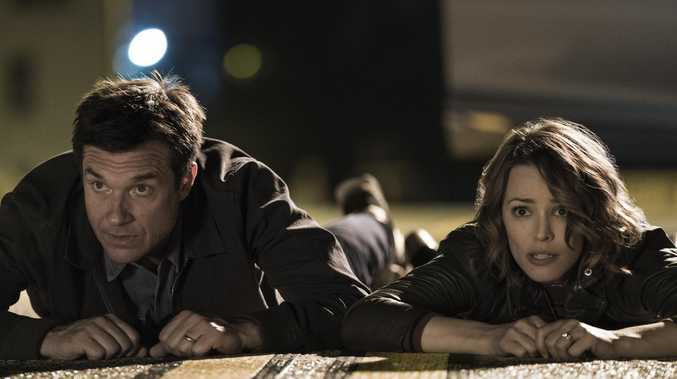 The movie is well-paced, it's tense when it needs to be and silly when it can get away with it. It's not a masterpiece but sometimes all you need is a good laugh and a bit of family-friendly fun. Lady Bird is a funny and authentic coming-of-age movie that nabbed five Oscar nominations, including two for its writer/director Greta Gerwig. It follows the final year of high school of Christine "Lady Bird" McPherson, an opinionated and self-assured teenager as she navigates boyfriends, friendships and her prickly relationship with her no-nonsense mother. It's easily one of the best movies of the year, thanks to its sophistication of tone and rhythm and superlative performances from Saoirse Ronan and Laurie Metcalf, as it flows from one perfect beat to the next. Lady Bird is a deeply personal and deeply human with a fresh perspective that you won't be able to resist. In a universe in which aliens with the most amazing hearing have invaded the Earth, if you make a sound, you're monster meat. The Abbott family live in a secluded house in the woods and live their lives with one mission - to make as little noise as possible. 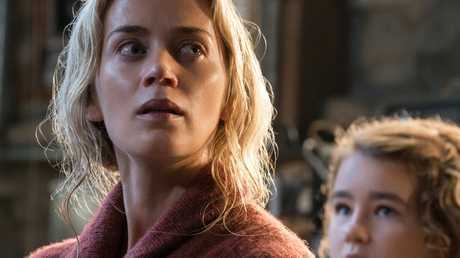 With its chilling premise, heart-thumping execution and deeper anxieties about parenthood and family, A Quiet Place is sure to join the pantheon of great horror films, just like Get Out before it. It's a masterstroke of suspense, thrills and storytelling, and it's done with almost no dialogue. No one writes a speech quite like Aaron Sorkin, the man behind The West Wing, so when he turns his talents to directing as well, you know you're in for something good. Sorkin's dialogue in the hands of the right actors is like a symphony, it has a rhythm that knows exactly which movement should come next. For this, Jessica Chastain and Idris Elba are perfectly cast. Based on the memoirs of a real-life "poker princess", Molly Bloom, Molly's Game is the story of how a champion skier ended up running the most prestigious poker games in Los Angeles and New York, frequented by movie stars, business titans and mobsters. OK, I'm not really recommending this movie per se, because I haven't seen more than the trailer and it looks like the kind of midday movie you'd flick past post haste. But a sizeable portion of the world seems to be completely obsessed with Meghan Markle's every step and her diehard fans are probably already onto their fourth rewatch of Suits, this little "gem" might be what you're looking for - if anything, it's probably good for some unintentional laughs. But you should be warned that in this straight-to-digital rom-com about two down-on-their-luck Hollywood types in a disastrous meet-cute, Markle isn't even one of the leads - she plays the best friend.